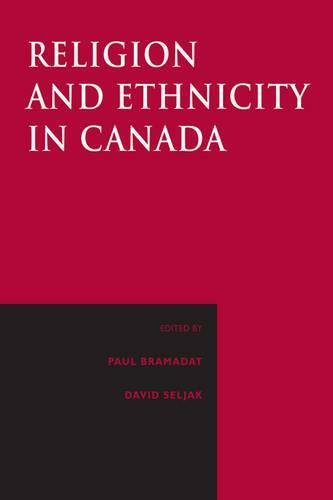 As the leading book in its field, Religion and Ethnicity in Canada has been embraced by scholars, teachers, students, and policy makers as a breakthrough study of Canadian religio-ethnic diversity and its impact on multiculturalism. A team of established scholars looks at the relationships between religious and ethnic identity in Canada's six largest minority religious communities: Hindus, Buddhists, Sikhs, Jews, Muslims and practitioners of Chinese religion. The chapters also highlight the ethnic diversity extant within these traditions in order to offer a more nuanced appreciation of the variety of lived experiences of members of these communities. Together, the contributors develop consistent themes throughout the volume, among them the changing nature of religious practice and ideas, current demographics, racism, and the role of women. Chapters related to the public policy issues of healthcare, education and multiculturalism show how new ethnic and religious diversity are challenging and changing Canadian institutions and society. Comprehensive and insightful, Religion and Ethnicity in Canada makes a unique contribution to the study of world religions in Canada.